Made With 10 All-Natural Ingredients. CHECK OUT THESE GREAT POKE BOWL RECIPES! 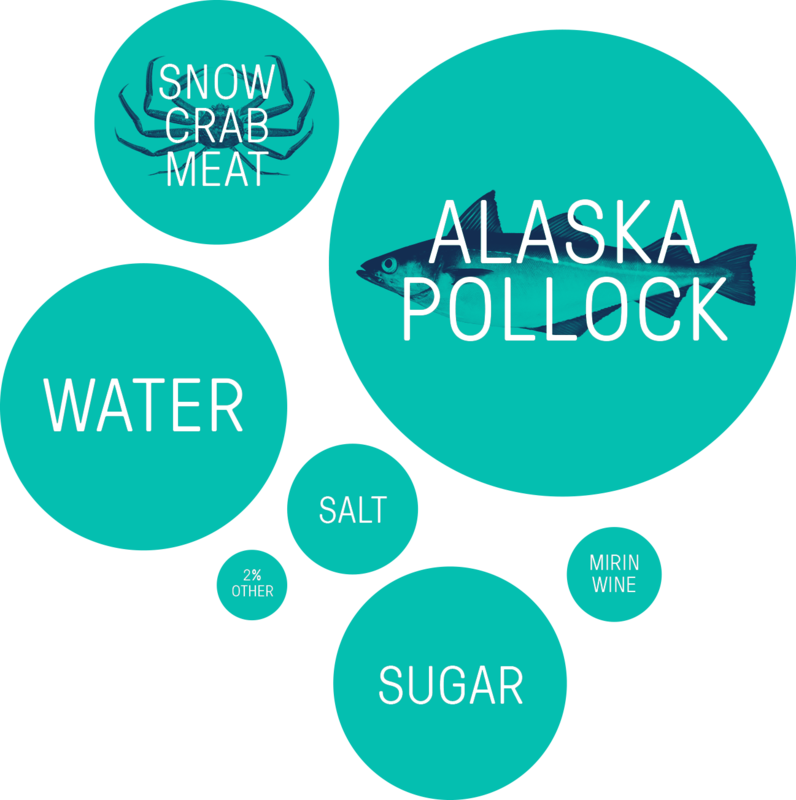 At Louis Kemp we guarantee that you will get the highest quality seafood because unlike most other seafood companies we oversee the product all the way from the boat that catches our Wild Alaska Pollock to when it reaches you at the local grocery store. Being part of the largest family owned vertically-integrated seafood company in North America, we control our product every step of the way and we take great pride in every product we make from imitation crab and surimi to imitation lobster. Surimi seafood, often called “Imitation Crab”, is real seafood made with Wild Alaska Pollock, a mild whitefish related to cod, which is flavored with crab or lobster. 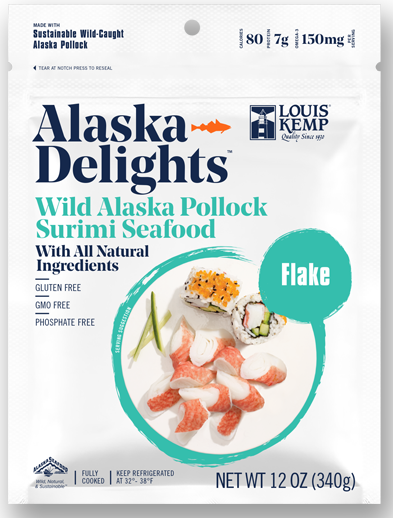 To make surimi seafood, Wild Alaska Pollock is finely minced and then blended with other ingredients such as starch, salt, natural crab meat, and egg white. It is then formed, cooked and cut into the various shapes and styles you find at your local grocery store. The reason for this misconception is that surimi is often formed and colored to look like crab, and the resulting product is commonly referred to as “imitation crab.” Because of the negative association with the word “imitation” in the food world, people assume surimi is a synthetic concoction instead of a real seafood. They’re wrong. Are you a Louis Kemp Super Fan? Get the freshest Louis Kemp news, recipes and product announcements straight to your inbox.